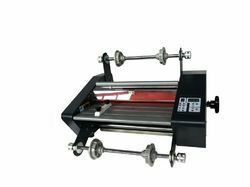 Prominent & Leading Manufacturer from Mumbai, we offer lc roll to roll lamination machine 11000a, lc roll to roll lamination machine 480, lc rubber roll to roll lamination machine 360, lc steel roll to roll lamination machine 360, lc roll to roll lamination machine 1100f and lc rotary cutter 36". With sincerity and hard work, we are paramount in offering world class and most superlative quality collection of Cold Manual Laminator. 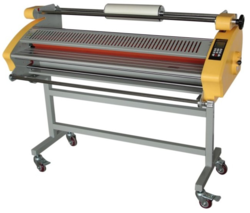 These Roll Laminator Machines are produced by engineers with the utilization of best quality machines and tools. 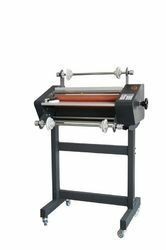 Core Size 2 " and 3 "
With sincerity and hard work, we are paramount in offering world class and most superlative quality collection of Cold Manual Laminator. 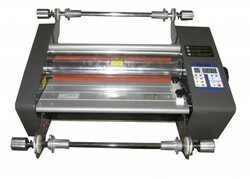 These roll To Roll Laminator Machines are produced by engineers with the utilization of best quality machines and tools. We offer quality 36" Rotary Cutter, which is extremely robust and precise. These are manufactured as per the international quality standards.